Handmade Goes Mainstream – A Contradiction or the Future of Design? What does ‘handmade’ mean to you? An item created with care and love? The product of hours of craftsmanship? The pinnacle of British-made design? Most of us imagine handmade items crafted in a specialist studio or converted back-bedroom – the ‘cottage industry’ at its finest. But, what about those items you see in big retailing outfits that are created by mainstream companies to appear handmade? For some, this is an outrageous paradox designed entirely for commercial gain. But, regardless of their origins, ‘mainstream handmade’ products are rapidly gaining popularity with British and global consumers. Is this a contradiction, or the future of design? Can Handmade Ever Go Mainstream? The notion of ‘mainstream handmade’ does not sit well with everyone. The idea that big-name retailers can create something that is genuinely handmade is – to some – almost farcical. And in many cases that feeling is justified. How can retailers purport to sell handmade items when each product is a carbon-copy of the one that went before? The key here is the addition of the word ‘style’. While retail giants cannot always justify the creation of truly handmade items, they can make them in the handmade style. At this juncture it is the role of the consumer to stop and consider the truth behind the process, and make a decision about their values. But then again, perhaps this is a skewed notion. Are the ‘big boys’ of the retailing world the only ones to carry the weight of such ethical questions? It would be naive to take a polarised view at this point – that retail giants exclusively use mechanised methods, while the cottage industry does exactly the opposite. In reality, small-scale designers use factory-made parts too – so perhaps handmade is more ‘mainstream’ that we first realised. The work of Jean-Baptiste Fastrez is a prime example. A far cry from usual hair styling items, his hair dryers – featuring a range of wooden handles – are wonderfully unique. Yet the components of the dryer are manufactured in just the same was as any other mass-produced part. Does that lessen his craft? Or simply add an element of practicality? Logistics aside, one of the biggest problems for designers and consumers is the idea that mass-produced products could ever retain handmade values. The cottage industry is a labour of love, surely? How can the same expertise and care be applied to the mainstream? This seems a legitimate concern, but there is no doubting the limitations of this viewpoint. Why should makers accept that their designs and products are destined the eyes of the few? On the one hand, it is an ode to the artisan’s talents that their work cannot be replicated on a big scale. But then again, why should their business prospects be limited from the very start? We don’t have to look far to find examples of ‘handmade goes mainstream’ success stories. Who can deny the colossal achievements of Cath Kidston: turning a small-scale business selling hand-embroidered tea towels into a company valued at £75 million just six years later. 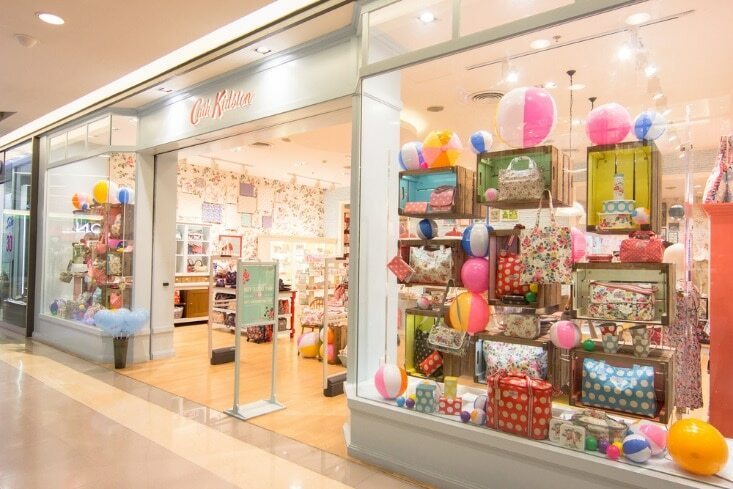 There are those that may think Cath Kidston – and others like her – ‘sold out’ by commercialising her designs. But it has brought her work to the masses, popularised the idea of handmade, and contributed to worthwhile causes – including her Macmillan Cancer Care campaign with Tesco – in the process. It’s not an achievement to be baulked at. Will the Cottage Industry Survive? If big retailers continue to replicate the handmade style at a fraction of the cost of genuine artisans, then there is no doubt this will harm the cottage industry in some way. But as for survival, this may be the perfect opportunity for small-scale businesses to learn and grow. First, we need to give the consumer some credit. Die-hard fans of handmade items are not so fickle to fall for the lure of the mass-produced imitations. They value the craft, support individual makers and see why the cottage industry needs support, even if it means parting with a few extra pounds. And then there’s the other side of it – the drive for makers to compete in unique and savvy ways with big businesses. They have many advantages over retail giants – not least the fact they have a compelling story to tell about how their products came to life. While big businesses have the budget to throw at research, marketing and advertisements, the internet levels out the playing field to an extent. Everyone has the chance to tap into a global market – and this is a make-or-break opportunity. Lastly, the popularisation of handmade through television programmes, books and social media (Pinterest in particular) only serves to give the cottage industry a boost from the inside out. The more that people give it a go and embrace their creative talents, the more diverse and vast the handmade industry will become. Now that is an exciting prospect for the future of design! Written by Rob Truslove – blogger for Premier Lampshades, the home of handmade bespoke lampshades and lampshade repair solutions. Premier Lampshade’s story is one of heritage, family values and true craftsmanship. With roots in 1930’s Manchester, Premier Lampshade use traditional methods and innovative ideas to provide one-of-a-kind lampshades for homeowners and businesses alike.